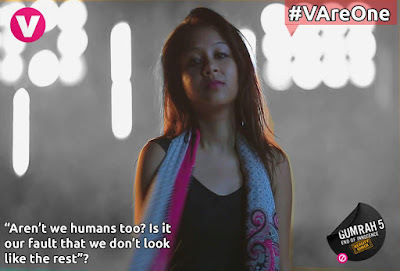 Channel V’s Gumrah has always been the fore runner in taking a stand for those afflicted with social evils. In a similar vein, the show seeks to mirror growing concerns faced by North Easterners who migrate to cities and the reaction they receive. This Sunday, the Karan Patel hosted show will be based on racial discrimination afflicting people hailing from the North Eastern states. 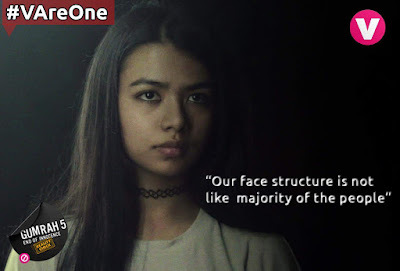 The special episode details the story of an 18 year old Assamese girl named Mou who travels to Delhi in pursuit of her dreams of becoming an IPS Officer. However, the young girl as she tries to adjust to her new life becomes a victim of racial remarks as she encounters bullying that continues to persist. Unlike the common tale of intolerance faced quietly, Mou takes a stand as she becomes a beacon of hope as she fights back the harassment. The strong willed girl retaliates in every circumstance to fight against the bullies and despite relentless attacks faced, Mou ends up emerging victorious as she delivers an emotional speech urging everyone to always stick up against injustice. With the show’s already promising theme, Channel V will be adding to it with a special song created for the episode. The song titled, ‘Aaha Heiya’ is an appeal to all North Easterners stating that they mustn’t have any fear to speak up because they have a right to voice their concerns. The song features moving lines that act as a call to action, pushing those plagued by the hard commentary to not only endure but stand united. The song seeks to be a way in order to salute the strength Mou showed aiming to bring to the light the countless unheard voices facing a similar situation.